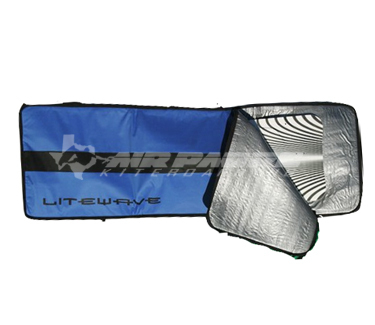 New from Litewave Kiteboards is the LWD Limited Golf Travel Bag, designed with the traveling kiter in mind. The LWD Limited features a large, coffin-style zipper system for easy access to all your gear, large urethane wheels for easy portability, and can accommodate larger twin-tip type boards in the 150 cm range. 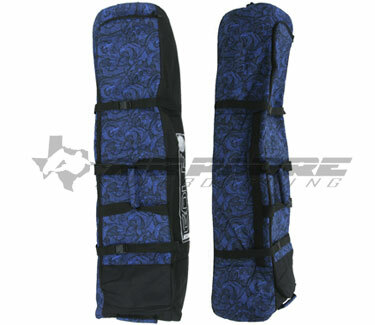 This bag will also hold the popular 155 Wing Kiteboard. 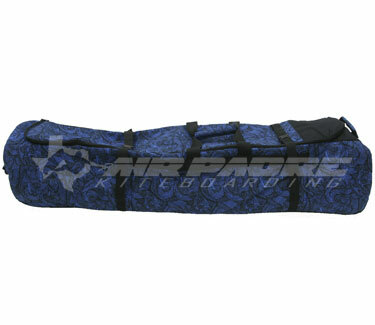 This bag will not only protect and carry your kite equipment, but will also save you a lot of money while traveling. Its 2 main compartments will fit up to 2 boards, 2 kites and bars. Rugged black codura, fully padded exterior. Smooth sliding large size zipper. 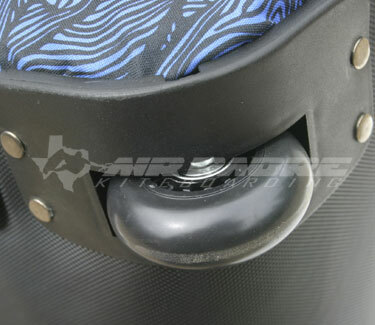 Oversize wheels and integrated skid plate. Molded rubber grip handles, center cinch straps. "Golf Limited" graphics and an interior pouch for tools. Perfect for airline check-in, just keep it under 50 pounds.